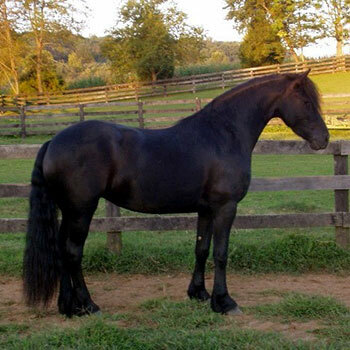 Arabella is our first Friesian, “alpha” mare and the heart of the farm. Blessed with a non-fading, silky, patent leather coat and a wavy forelock that reaches her nose, she is a shining example of the beautiful baroque Friesian. Her sire is the 1995 World Champion, Wicher 334 (deceased 2003), who competed successfully at dressage. 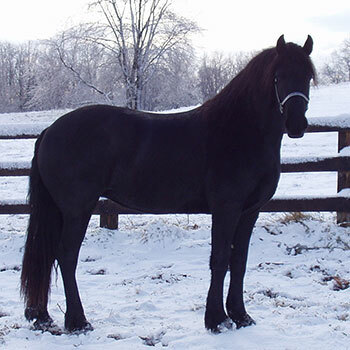 Her mother is a 3rd premie studbook daughter of Jildert 299, Betsy T. from Tuls. 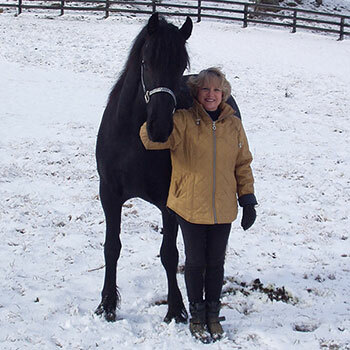 Being a true “alpha” mare, Betsy gifted her daughter with intelligence, good sense, and a fearless character. Arabella has a beautiful head and swan neck, a legacy from both sire and maternal grandsire. 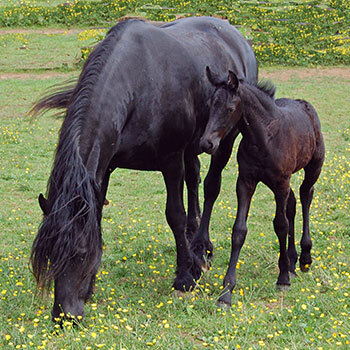 Her 2009 Lolke foal, Elle, is the true image of her beautiful sire.